For many people, their wedding day is one of the most important days of their lives so it’s only natural that it’s a day where all brides and grooms want to feel and look their best. Typically, one of the first things that a bride thinks about when starting to plan her wedding is how to lose a few pounds to fit into her ideal gown. She also thinks of her hairstyle, what make-up look she wants, what colour she’ll paint her nails, getting her eyebrows waxed, getting false lashes, and whitening her teeth. With all of that going on, one thing that is often neglected is skincare. We don’t give it much thought because we rely on make-up to cover up any blemishes or skin imperfections. But truthfully, proper skincare will make a significant difference, not only in how a bride looks but also in how she feels too. On that note, let’s talk some bridal skincare prep and outline a skincare routine that will have you glowing from the inside out on your big day. Believe it or not, you can eat your way to better skin. In fact, good nutrition is the key to smooth, soft, and healthy-looking skin. For maximum benefit, try and eat a balanced diet that includes a lot of fruits and vegetables. Drinking plenty of water is probably one of the healthiest habits you can implement. Among its many benefits, it carries nutrients to your body, improves circulation, and provides much-needed moisture, all of which are vital components of healthy skin. Regularly wearing sunscreen protects your skin from damaging UV rays. It also helps you avoid sunspots and wrinkly skin. From a purely aesthetic point of view, it’ll prevent you from getting a sunburn – a look that you certainly don’t want as you walk down the aisle. Your at-home skincare routine should include a morning and a bedtime routine. Make sureyou cleanse, tone,and moisturise (more on this later) your skin.You’ll also want to exfoliate twice a week. Exfoliating removes the dead skin cells at the surface of the body. While it’s essential to have a home skin care routine, there’s also a place for professional facials. You should always leave the extraction of blackheads and pore purifying to a trained skin care specialist because you may end up with some unwanted scars if you try doing this yourself. Moisturising should be included as part of your daily skin care routine – no exceptions made. Not all moisturisers are created equal so you should find one that works for your skin type, not against it. For instance, if you have oily skin, you probably wouldn’t want to use a formula with extra moisturising ingredients. It’s all about the balance so make sure you get it right. Whether you’re getting married in an indoor location such as a church or at an outdoor barn wedding venue, you’ll want your skin to look beautiful in either lighting. 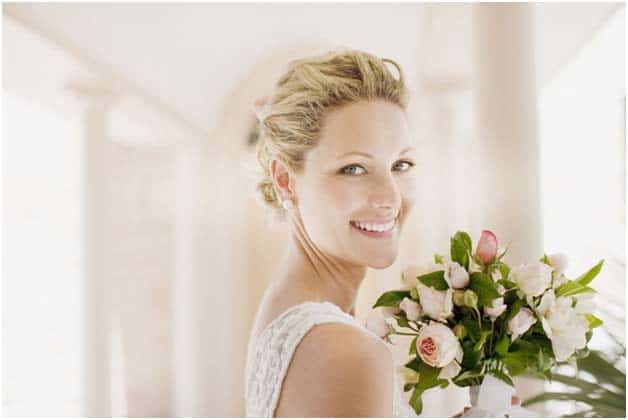 The key to achieve a flawless look is to start your prep early so don’t wait until a couple weeks before your wedding to start your skincare routine.Following the above skincare tips will ensure that you’ll be picture perfect when you say “I do”. Next Post A Rambling we will go… Slindon Bottom!